Seahorses are so darling! This one looks like a baby seahorse. 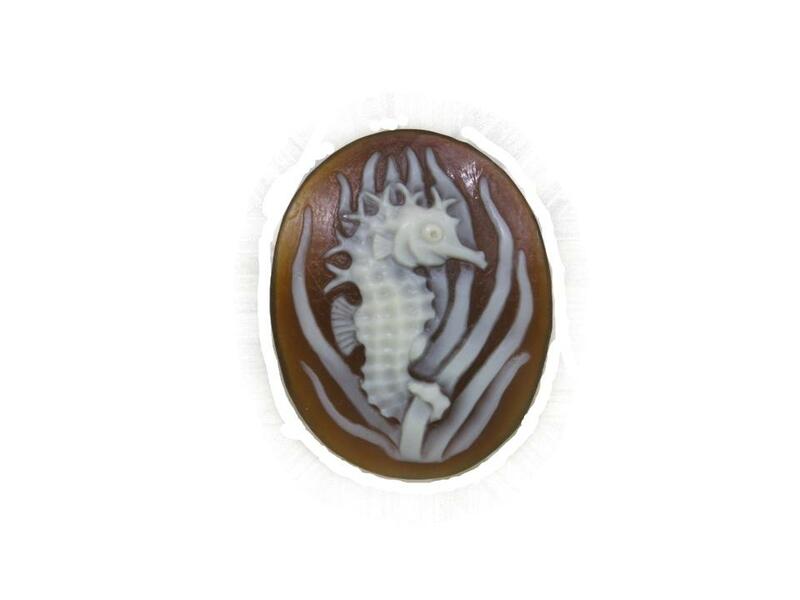 Seahorse cameo w/grass, 25mm oval, registry number #2208. Eco-Friendly, Fair Trade. Sold with a Certificate of Authenticity. All of our cameos are artist signed originals.